Here you will find useful information regarding your residence in Milan as a foreign student. - APPLICATION FORM for incoming Erasmus students. - IDENTITY CARD or PASSPORT. The first thing to do when your arrive at your destination is to look for the Erasmus Office of your faculty. from Italian language courses to solutions for administrative problems and useful information about exams. 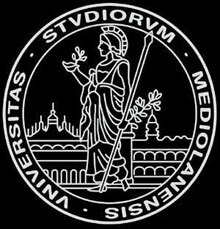 For foreign students who want to attend the courses offered by the Milan university's faculties. After you have enrolled in your university, you'll have to get its FISCAL CODE. In Italy, The Fiscal Code is something like a social security number in other countries. In Italy it is usually requred to new lease an apartment, to open a new bank current account or for the activation of a new telephone number. It is possible to get a free fiscal code, by simply going into a local office of the "Agenzia delle Entrate" with a personal identification documents. If you want to study Italian before the beginning of your university courses, we suggest you to have a look at our page about Learn Italian in Milan, which gives you some hints on where to study Italian in Milan, with some useful information about Italian language schools in Milan.